Despite stating publicly he would be leaving the St. Helens City Council at the end of 2018, Keith Locke, the longtime councilman, isn't going anywhere soon. Locke and his wife purchased a second home in Salem last April. He announced on several occasions that he was splitting his time between the two cities. The family's goal was to be closer to his daughter and granddaughter who live in the Salem area after his wife retired last summer. Locke still had at least two years to serve on the City Council, however, when he made the announcement last spring. His elected term expires at the end of 2020. Locke has served on the council since 2000. "Well, I had said that I'd leave after the first of the year. And that was if the council all stayed the same. My plan now is to leave in June," Locke said. At a meeting in May, Locke told the city councilors he would leave at the end of the year. "As you know, I've announced my resignation at the end of the year. 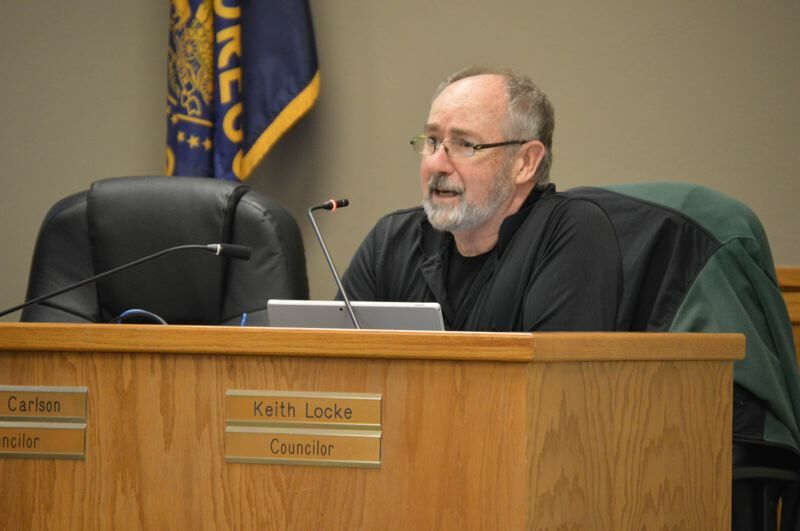 I'm now living in two towns," Locke stated at the May 16 council meeting. Steve Topaz, who was elected to serve on the council in November and was sworn in in January, asked Locke about his previous statements and wanted more details from the councilor about when he planned to leave, noting that he wanted to prepare the council for the consideration of potential appointments. According to the St. Helens city charter, a vacancy on the council exists when a councilperson is absent from the city for 30 days without the mayor's written permission, or a councilperson misses all city meetings within a 60-day period. Locke has met all of the conditions to retain his seat. When asked about the subject, Doug Morten, the St. Helens City Council president, said the council as a whole has not discussed the issue. After fielding questions from the Spotlight, however, he said he would raise the topic during a scheduled council retreat. Morten noted that Locke has done a lot for the city and continues to be involved in city business, pointing to his role as a police commissioner and as a liaison for the St. Helens Youth Council. "That's where I figure he is putting in a lot of time with the council and the city. Where he sleeps, I'm not keeping track of that. I am keeping track of what he does for the city," Morten said. Locke said he has delayed his departure from the council primarily so he can oversee the completion of various city projects. "I just want to make sure that some of the projects that we have started are getting followed through on," Locke said. Some of those projects include work on the city's waterfront industrial property and land the city owns near the former Boise Inc. plant. That industrial land, recently titled the "St. Helens Industrial Business Park," lacks infrastructure for business operations. A cannabis cultivation park is slated to open on an eight-acre section of the former Boise pulp and paper mill property, which the city is attempting to sell to ACSP LLC. ACSP is registered to Alex Reverman of Portland, and Locke and Reverman have developed a friendship over the course of working together on city business. Some have questioned whether Locke has a conflict of interest by being involved in business dealings with the company. The city has not yet finalized the sale contract with ACSP. Locke also noted that he still owns his house in St. Helens, is still registered to vote in the city, and spends three to four days of the week in the city. "Well, I've lived here for 35, or 36 years. I'm still invested in the community," Locke said.